Stefan Goebel works in the field of modern British and German cultural and comparative history. Prior to taking up his post at Kent, he was a Junior Research Fellow at Churchill College, Cambridge and Leverhulme Fellow at the Institute of Historical Research, London. Dr Goebel’s research focuses on the experience and memory of the two world wars and on urban history. His first book The Great War and Medieval Memory (Cambridge University Press, 2007) is a comparative study of war and remembrance in Britain and Germany between 1914 and 1940. A convenor of the Capital Cities at War project (Cambridge University Press, 2007), Stefan Goebel is the co-editor of Cities into Battlefields: Metropolitan Scenarios, Experiences and Commemorations of Total War (Ashgate/Routledge, 2011) and of a special issue of the London Journal 41:3 (2016). Together with Mark Connelly, he has written a study of Ypres in the twentieth century (Oxford University Press, 2017). His latest publication is a co-edited volume on Propaganda and Conflict (Bloomsbury, 2019). He is currently completing on a comparative history of Coventry and Dresden in the aftermath of the Second World. At undergraduate level, Stefan offers courses on the comparative history of the Great War and on the legacy of the Second World War. He is the convenor of the MA in War, Media and Society and teaches a course on war, propaganda and the media. 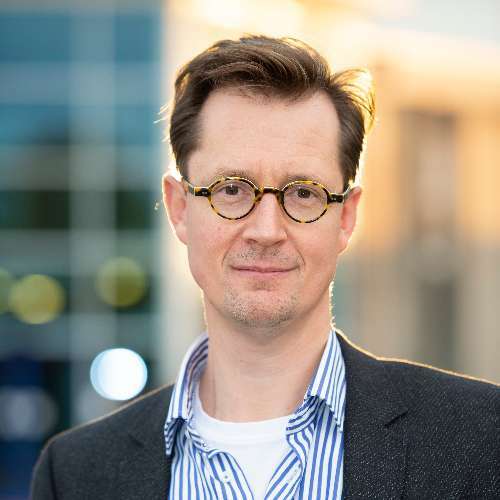 Stefan has supervised PhD theses on the media history of the Great War and the cultural history of the Second World War, and he would be glad to hear from prospective research students interested in the history of war commemoration or the urban history of modern conflicts. Goebel, S. and White, J. (2016). London and the First World War. The London Journal 41. Goebel, S. (2014). Commemorative Cityscapes: The Lasting Imprint of the First World War on Urban Space. Context: The Journal of the Institute of Historic Building Conservation [Online]:31-32. Available at: http://ihbconline.co.uk/context/137/#32. Goebel, S. (2007). Beyond Discourse? Bodies and Memories of Two World Wars. Journal of Contemporary History 42:377-385. Goebel, S. (2006). Coventry e Dresda: reti transnazionali della memoria negli anni Cinquanta et Sessanta. Annali dell'Istituto storico italo-germanico in Trento 32:339-348. Goebel, S. (2004). Re-membered and Re-mobilized: The 'Sleeping Dead' in Interwar Germany and Britain. Journal of Contemporary History [Online] 39:487-501. Available at: http://dx.doi.org/10.1177/0022009404046751. Goebel, S. (2001). "Kohle und Schwert": Zur Konstruktion der Heimatfront in Kriegswahrzeichen des Ruhrgebietes im Ersten Weltkrieg'. Westfälische Forschungen 51:257-281. Goebel, S. (2001). Intersecting Memories: War and Remembrance in Twentieth-Century Europe. Historical Journal 44:853-858. Connelly, M. and Goebel, S. (2018). Ypres. [Online]. Oxford University Press. Available at: https://global.oup.com/academic/product/ypres-9780198713371?cc=gb〈=en&. The following is the book jacket text written by Mark Connelly: In 1914 Ypres was a sleepy Belgian city admired for its magnificent Gothic architecture. The arrival of the rival armies in October 1914 transformed it into a place known across the world with each combatant ascribing the place with a set of values and images. It is now at the hub of First World War battlefield tourism with much of its economy devoted to serving the needs and interests of people from across the world. The surrounding countryside is dominated by memorials, cemeteries and museums many of which were erected in the 1920s and 1930s, but are being added to constantly as fascination with the region increases. This work explores the ways in which Ypres has been understood and interpreted by Britain and the Commonwealth, Belgium, France and Germany, including the variants developed by the Nazis, looking at the way in which different groups have struggled to impose their own narratives on the city and the region around it. It explores the city’s growth as a tourist destination and examines the sometimes tricky relationship visitors had with local people as well as the behaviour of the visitors themselves who hovered between being respectful pilgrims and tourists intent on being shocked, thrilled and excited. The result of new and extensive archival research across a number of countries, this book offers an innovative overview of the development of a critical site of Great War memory. Goebel, S. and Connelly, M. (2016). Ypres. Oxford: Oxford University Press. Goebel, S. (2007). The Great War and Medieval Memory: War, Remembrance and Medievalism in Britain and Germany, 1914-1940. Cambridge: Cambridge University Press. Goebel, S. (2016). Societies at War, 1914–1918. in: Doumanis, N. ed. The Oxford Handbook of Europe, 1914–1945. Oxford: Oxford University Press, pp. 41-60. Goebel, S. (2016). The German Crusade: The Battle of Tannenberg 1410 and 1914. in: Stevenson, K. and Gribling, B. eds. Chivalry and the Vision of the Medieval Past. Woodbridge: Boydell & Brewer, pp. 169-186. Goebel, S. (2014). Aus der Mitte der Gesellschaft: Propaganda und Gedenken mit “Kriegswahreichen zum Benageln”. in: Eilers, S. ed. An der ‘Heimatfront’: Westfalen und Lippe im Ersten Weltkrieg. Münster: LWL-Museumsamt für Westfalen, pp. 106-123. Goebel, S. (2014). "Intimate Pictures": British War Photography from the Western Front. in: Jakob, V. and Sagurna, S. eds. Front 14/18: The Great War in 3D / Der Erste Weltkrieg in 3D / De Groote Oorlog in 3D. Münster / Steinfurt: LWL-Medienzentrum für Westfalen / Tecklenborg Verlag, pp. 42-55. Goebel, S. (2014). Cities. in: Winter, J. ed. The Cambridge History of the First World War. Cambridge: Cambridge University Press, pp. 358-381. Goebel, S. (2014). Villes. in: Becker, A. and Winter, J. eds. La Première Guerre mondiale. Paris: Fayard, pp. 399-423. Goebel, S. (2014). Der “Eiserne Schmied von Hagen”: Kriegspropaganda – Kunststreit – kulturelles Gedächtnis. in: Blank, R., Belgin, T. and Schulte, B. eds. Weltenbrand: Hagen 1914. Essen: Klartext, pp. 139-150. Goebel, S. (2012). Une cosmopolis commémorative: les réseaux de commémoration transnationaux à Coventry après la Seconde Guerre mondiale. in: Choné, A. ed. Villes invisibles et écritures de la modernité. Paris: Orizons, pp. 111-133. Goebel, S. (2012). Brüchige Kontinuität: Kriegerdenkmäler und Kriegsgedenken im 20. Jahrhundert: Großbritannien. in: Hettling, M. and Echternkamp, J. eds. Gefallenengedenken im globalen Vergleich: Nationale Tradition, politische Legitimation und Individualisierung der Erinnerung. R. Oldenbourg, pp. 201-226. Goebel, S. (2012). Cultural memory and the Great War: classicism and medievalism in British and German war memorials. in: Rhodes, P. J., Low, P. and Oliver, G. eds. Cultures of commemoration: war memorials, ancient and modern. British Academy and Oxford University Press, pp. 131-154. Goebel, S. (2012). Britain’s “Last Crusade”: From War Propaganda to War Commemoration, c. 1914–1930. in: Welch, D. and Fox, J. eds. Justifying War: Propaganda, Politics and the Modern Age. Basingstoke: Palgrave Macmillan, pp. 159-176. Goebel, S. and Keene, D. (2011). Towards a metropolitan history of total war: an introduction. in: Goebel, S. P. and Keene, D. eds. Cities into battlefields: metropolitan scenarios, experiences and commemorations of total war. Aldershot: Ashgate, pp. 1-46. Goebel, S. (2011). Commemorative cosmopolis: transnational networks of remembrance in post-war Coventry. in: Goebel, S. P. and Keene, D. eds. Cities into battlefields: metropolitan scenarios, experiences and commemorations of total war. Aldershot: Ashgate, pp. 163-183. Goebel, S. (2010). Chivalrous knights versus iron warriors: representations of the battle of matériel and slaughter in Britain and Germany, 1914-1940. in: James, P. ed. Picture this: World War I posters and visual culture. University of Nebraska Press, pp. 79-110. Connelly, M. and Goebel, S. (2009). Zwischen Erinnerungspolitik und Erinnerungskonsum. Der Luftkrieg in Grossbritannien. in: Arnold, J., Süß, D. and Thiessen, M. eds. Luftkrieg: Erinnerungen in Deutschland und Europa. Go?ttingen, Germany: Wallstein. Connelly, M. and Goebel, S. (2009). Zwischen Erinnerungspolitik und Erinnerungskonsum: Der Luftkrieg in Großbritannien. in: Arnold, J., Süß, D. and Thießen, M. eds. Luftkrieg: Erinnerungen in Deutschland und Europa. Göttingen: Wallstein, pp. 50-65. Goebel, S. (2008). The Bottle of Britain: Krieg, Konsum und kulturelles Gedächtnis. in: Schneider, G. ed. Meine Quelle: Ein Lesebuch zur deutschen Geschichte des 19. und 20. Jahrhunderts. Schwalbach: Wochenschau Verlag / bd edition, pp. 229-241. Goebel, S. (2007). Exhibitions. in: Winter, J. and Robert, J. -L. eds. Capital Cities at War: London, Paris, Berlin 1914–1919, vol. II: A Cultural History. Cambridge: Cambridge University Press, pp. 143-187. Goebel, S. (2007). Coventry und Dresden: Transnationale Netzwerke der Erinnerung in den 1950er und 1960er Jahren. in: Süß, D. ed. Deutschland im Luftkrieg: Geschichte und Erinnerung. Munich: Oldenbourg, pp. 111-120. Goebel, S. (2007). Schools. in: Winter, J. and Robert, J. -L. eds. Capital Cities at War: London, Paris, Berlin 1914–1919, vol. II: A Cultural History. Cambridge: Cambridge University Press, pp. 188-234. Goebel, S. (2004). Forging the Industrial Home Front in Germany: Iron-Nail Memorials in the Ruhr. in: Macleod, J. and Purseigle, P. eds. Uncovered Fields: Perspectives in First World War Studies. Leiden and Boston: Brill, pp. 159-178. Goebel, S. (1996). Stein des Anstoßes: Black Form (Dedicated to the Missing Jews). in: Avenwedde, H. and Eggert, H. -U. eds. Denkmäler in Münster: Auf Entdeckungsreise in die Vergangenheit. Münster: Schriftproben, pp. 315-388. Goebel, S.P. and Keene, D. eds. (2011). Cities into Battlefields: Metropolitan Scenarios, Experiences and Commemorations of Total War. Farnham and Burlington, VT: Ashgate. Goebel, S. (2014). Book Review of: In Eiserner Zeit: Kriegswahrzeichen im Ersten Weltkrieg: Ein Katalog by Schneider, Gerhard [Reviews in History, no. 1624]. Available at: http://www.history.ac.uk/reviews/review/1624. Goebel, S. (2013). Book Review of: The Good Fight: Battle of Britain Propaganda and the Few by Campion, Garry [Francia-Recensio, no. 2]. Available at: http://www.perspectivia.net/content/publikationen/francia/francia-recensio/2013-2/ZG/campion_goebel. Goebel, S. (2008). Book Review of: Mythologisierte Gegenwart: Deutsches Erleben seit 1933 in antikem Gewand by Ziolkowski, Theodore [Sehepunkte 8, no. 12]. Available at: http://www.sehepunkte.de/2008/12/14583.html. Goebel, S. (2014). Book Review. German Studies Review 34:454-455. Goebel, S. (2013). Book Review. Speculum 88:565-566. Goebel, S. (2013). Book Review. American Historical Review 118:605. Goebel, S. (2012). Book Review. Bulletin of the German Historical Institute London 34:27-31. Goebel, S. (2011). Book Review. Classical Review 61:627-629. Goebel, S. (2011). Book Review. German Politics 20:316-317. Goebel, S. (2011). Book Review. Central European History 44:587-589. Goebel, S. (2010). Book Review. Journal of Contemporary History 45:877-879. Goebel, S. (2010). Book Review. Journal of Military History 74:254-255. Goebel, S. (2010). Book Review. English Historical Review 125:1037-1039. Goebel, S. (2009). Book Review. Central European History 42:159-161.